Do you have a problem that bedevils the mind? Do or have even been often forget something? If so frequently listen to music or your favorite songs. Because according to various studies, the music can calm and even improve your memory. Therefore, the music can be an effective means of therapy for people with various complaints. On the other hand, if the music played is a soft tone and liked listening, music can create an environment to relax or even the spirit. One loaded with musical research of this therapy is a member of the Institute for music and neurologic function in United States. 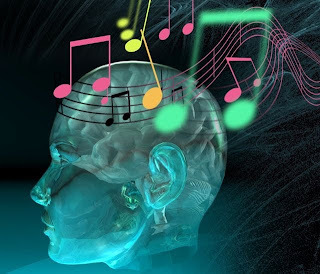 They found that the type of music therapy is very beneficial for people with Alzheimer's disease to stay calm and help improve their memory. Of course, for those who easily forget, these findings into good news because the music we hear everyday in fact many benefits. This is also reinforced by the use of music therapy in a hospital in Chicago. Music therapy applies no is able to calm the parents who are anxious or upset caused by the crime of their children. Because of this great benefit, Cheryl DiLeo, a professor of music therapy University of Philadelphia, the U.S. said the music will help to change the patient's physical, psychological, social, and cognitive. Therefore, Cheryl highly recommend music as a therapeutic tool because it is easy to do and loved by many people. Therefore, if you feel uncomfortable and too much thinking, why not listen to music for a moment? Let us hope that this will calm the most simple way and makes us more productive in their work.